This place was regal. Beautiful. Completely surreal. 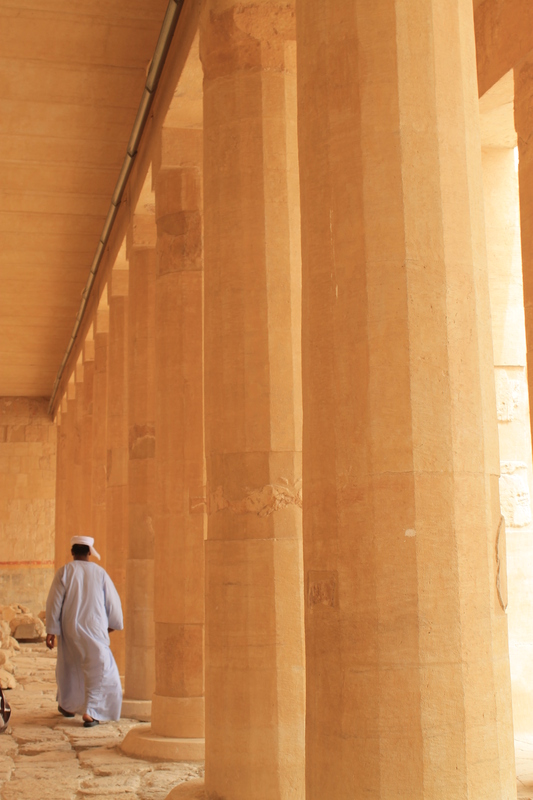 And stunningly enveloped within high rock faces of Deir el Bahari. The day we arrived coincided with a strong sandstorm, which, believe it or not, only made the whole experience even more incredible. 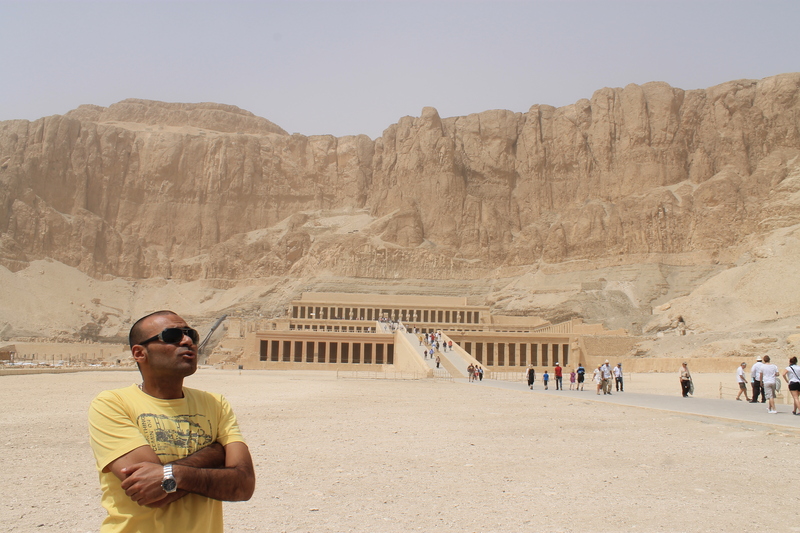 – The temple is believed to have been built around 1480 BC, for the female Pharaoh Hatshepsut. 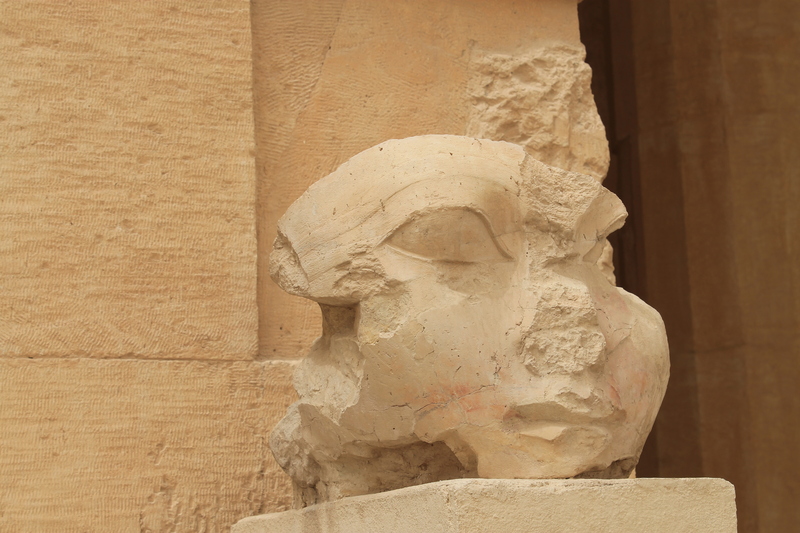 – She often depicted herself as a male, which you can see in some of the reliefs around the temple. – The temple was built in dedication to the goddess Hathor, who was the guardian of the area, and you will also see a lot of statues and reliefs in her image around the site. – Queen Hatshepsut has a reputation with modern Egyptologists as a prolific builder, and one of Egypt’s greatest Pharaohs, holding her reign for around 20 years. – The site of the temple is often recognised not for it’s majesty and beauty, but for the massacre that occurred there in 1997, where 62 people (mostly tourists) were killed. Very, very cool. Was it cut out of the rock I suppose? It certainly looked that way!